He's even scarier than you thought. 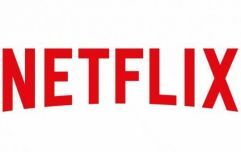 Need a spoiler alert? Come at me. That's how the score looks as the first battle in the Great War has been fought and the Night King has already secured the most deadly weapon imaginable, an ice dragon. We've speculated about Viserion's powers and future here, but if you thought that the army of the dead were just mindless zombies then think again. Not only can the Night King summon the dead, walk through fire and throw a spear in a way that would make an Olympic javelin gold-medalist jealous, he's also more powerful than we can even comprehend. 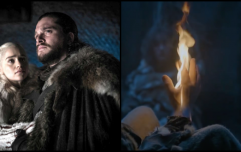 If you read the recent theory about Bran and the Night King then you'll know that there's a strong connection between the two, but the most recent episode has provided evidence that the leader of the White Walkers is far more formidable than first feared. Did anyone else get the feeling that the Night King was very prepared for the battle against Jon Snow's suicide squad? Jon's raid beyond the Wall was supposed to be a surprise, but it sure didn't feel like it. Cast your mind back to the most recent episode, Eastwatch, and the scene when Bran has warged into the ravens that are travelling beyond the Wall in a bid to spy on the Night King's activity. 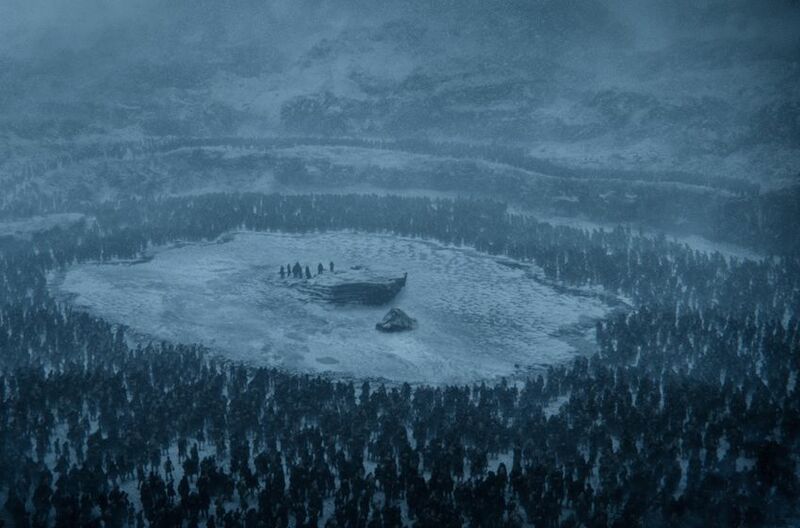 During that scene, we get a glimpse at the army of the dead as they're all gathered around one specific location. Look familiar? Yep, that's exactly where Jon Snow and his men had to make their desperate last stand against the dead. Yes, that's right. Jon Snow was led into a trap by the Night King and he walked right into it. The scene of Jon's battle vs the wights. Simply put, the Night King was prepared for battle. He knew the terrain. He knew how to trap Jon Snow's men and he knew exactly what was coming. Simply put, there's a strong chance that the Night King is a greenseer because just like the Three-Eyed Raven, he can see the future. The Night King's entire plan revolved around waiting for Daenerys and her dragons to arrive - Viserion being the target. Once Dany's dragon was within shot, game over. After reviving the dragon to be his steed, we're guessing that his intentions are now solely focused on the Wall. Is this why the Night King has been waiting for so long before heading south? 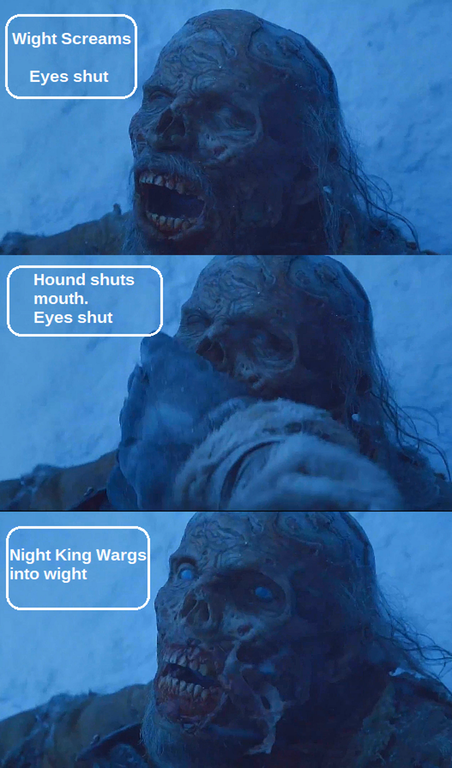 Is this why we haven't seen that much of a threat from the undead since Hardhome? Do you think those wights held back from attacking Jon, Jorah, The Hound etc purely because the ice was frozen? Surely the Night King could have ordered his undead minions to form some kind of skeletal body bridge if he truly wanted to kill Jon. Hell, we've seen these wights throw themselves off the edge of a cliff at Hardhome in a bid to kill. One tiny gap of water wouldn't stop them and as we saw in the episode, even when they fell into the water, they still continued to fight. Tormund only barely made it out of his encounter with them alive. It;'s worth noting that the Night King also managed to kill a dragon from an extraordinary distance and he nearly did it again after narrowly missing Drogon. Jon and his party were stationery and isolated on a rock, they were weak and ready to be picked off. Sitting ducks, a perfect opportunity to kill. No, the leader of the White Walkers waited until Dany and her dragons were distracted by their rescue operation before striking. Jon was the bait and Viserion was the prize. Need further proof? The Night King even managed to warg into that wight which Jon and his men captured and held on that rock in the middle of the frozen lake. Basically, the Night King was spying on everything that Jon and his men were saying. One burning question remains though. When it came to attacking a dragon, Drogon was closer to the Night King than Viserion was. Why didn't he throw his ice javelin at the easier target? Well, if Drogon was attacked, it's very likely that Jon, The Hound, Beric, Jorah etc would be forced to make a desperate last stand against the Night King. Beric Dondarrion made an interesting observation that when a White Walker is killed, the wights they create will immediately die as well. “Kill him,” Beric says, pointing toward the Night King. By killing the Night King, the entire army of the dead would die also. 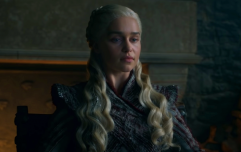 If Drogon was killed, Jon, Dany and co would be left without an immediate 'getaway' dragon and would therefore have no other option but to stand and fight. For the Night King, is it worth taking that risk? As Tyrion previously pointed out to Daenerys, a smart ruler doesn't get their hands dirty in combat. The Night King is incredibly smart. No, he decided to play the long game and bide his time until the perfect moment to strike. Also, did anyone else wonder why the White Walker generals were equipped with ice javelins and a gigantic chain to fish Viserion out of the frozen lake? Ok, it's possible that a few days had passed before Viserion was retrieved from the frozen lake - but it's far more likely that they came to that battle prepared. In Game of Thrones, we've already seen that people with greensight can interact with Bran during his visions. The blood raven (Max Von Sydow - the previous incarnation of the 'Three-Eyed Raven) has frequently made physical contact with Bran in his visions and the Night King has already 'marked' Bran. When Bran spied on the Night King, why do you think those ravens scattered as soon as he made eye contact? 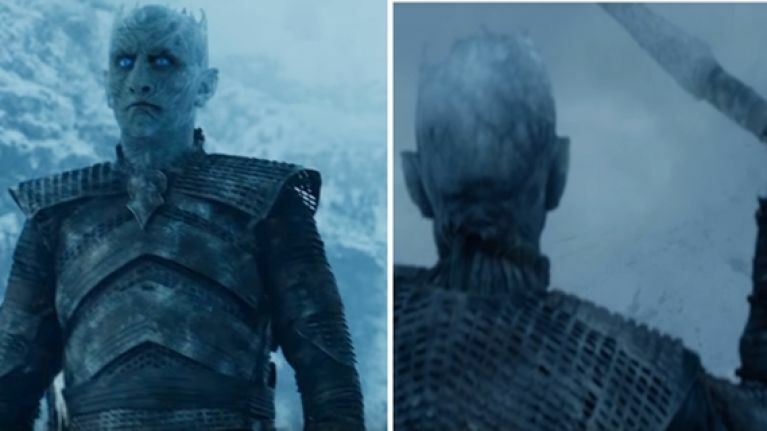 The Night King knows how to spot Bran during his warging visions. It's exactly how he found him in that cave before Hodor died. We also know that the Night King was created by the Children of the Forest and it's clear that he has magical properties - hell, he can raise the dead and control an army of wights with his warg-like powers. If this theory is true, then not only is the Night King a formidable physical threat - he can spear a dragon, handle himself in combat and raise the dead - but he can also see glimpses of the future, just like Bran. We're frequently told that the Wall isn't just a bunch of compact ice and that it's protected by magic too. Somehow, we've a feeling that the Night's Watch are about to face a fight that's impossible to win.